Are you looking for a villa or your dream house on the Turkish Riviera? We have the best villas in Alanya. Then take a look around with us. With us you will find very special offers. Houses in Alanya, villas in Alanya with sea view and private pool and luxurious equipment or houses and villas from 2nd hand. No matter what you are looking for, we will help you find the right property in the right location. Not only the mild climate in the winter months, but also the summer months are ideally suited to escape the gray everyday life and the rainy days in the home, so many of our customers have already decided for villas in Alanya. Attractive real estate prices and low cost of living are attracting more and more residents and retirees to the Turkish Riviera. More and more vacationers are choosing to spend their free days in their own apartment or villa in Alanya. With us you will find a reliable partner with many years of experience in the real estate market in Alanya. We are a dynamic company and offer you exactly what you are looking for. 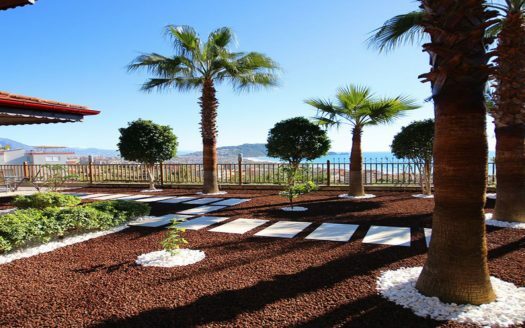 Are you looking for an apartment or rather a villa? We have the right offer for every taste and every budget. See for yourself! Visit our page on Facebook or call us.